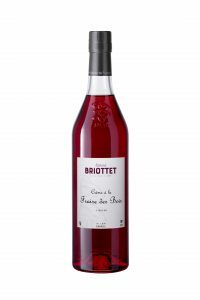 Briottet Crème de cassis, a liqueur made with black currants, is believed to have been invented in 1841 in the French town of Dijon. It would ultimately replace Ratafia de Cassis as the preferred cassis drink, which was made using wine and eau-de-vie rather than the neutral alcohol used today. In the 1920s, Dijon courts determined that Crème de Cassis de Dijon could only be produced in Dijon, though official French appellation d'origine contrôlée status has yet to be established. Protection for true Crème de Cassis de Dijon took a big step forward in 2012, when it received Protected Geographical Indication status from the National Institute for Origin & Quality, which is part of the French Ministry of Agriculture. The Kir, a popular classic cocktail, also has its roots in Dijon. In 1945, Canon Félix Kir was elected mayor of Dijon, a position he would hold until his death in 1968. He was a strong advocate for Crème de Cassis de Dijon, and would serve a cocktail made with the crème and a local wine, typically aligoté, to his guests, and the cocktail would eventually bear his name. Six Generations The Maison Briottet story begins in 1836 when the firm was founded by vineyard owner James Demontry, though at the time the business just traded wine. 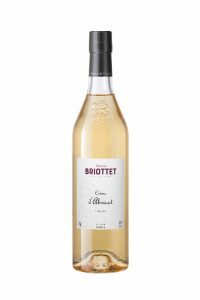 Edmond Briottet eventually took over running the firm, and soon thereafter acquired his father-in-law's wine trading company along with the facility at 12 Rue Berlier in the historic center of Dijon, where the company operates today. 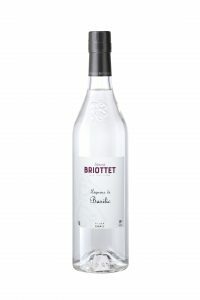 The location of the production facility is an important part of the Briottet vision, though it presents significant logistical challenges for production. Access for trucks on the small one-way street is difficult, and space is extremely limited, creating a limit on how much can be produced. Everything is made in small batches and only a tiny amount of stock is kept on hand. As Crème de Cassis de Dijon became more popular over time, Edmond transitioned his company away from trading wine and towards the production of the crème. By 1949, Edmond's son Andre produced Crème de Cassis de Dijon exclusively, and the company was making a name for itself in the local industry through active involvement in organizations furthering the development of Crème de Cassis de Dijon. Fifth generation Gérard Briottet joined the company in 1977, and recently retired in 2014. He passed operation of the company on to his children, Vincent and Claire Briottet, who joined the company in 2010 and look to take the Briottet legacy into the future. 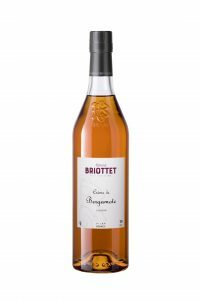 Briottet Creme Production All Briottet crèmes follow a similar production process, with the variance between expressions coming from the fruit used. To make a crème, the fruit is macerated in a neutral spirit for a minimum of two months. The infusion is removed and the fruit is pressed to extract all the flavor. Sugar and water are added over a period of six hours while being mixed, and after resting for a short period of time, the crème is finished.